We are pleased to reveal our latest collaboration with luxury fashion brand Roberto Cavalli and Rodrigo Izquierdo Studio. 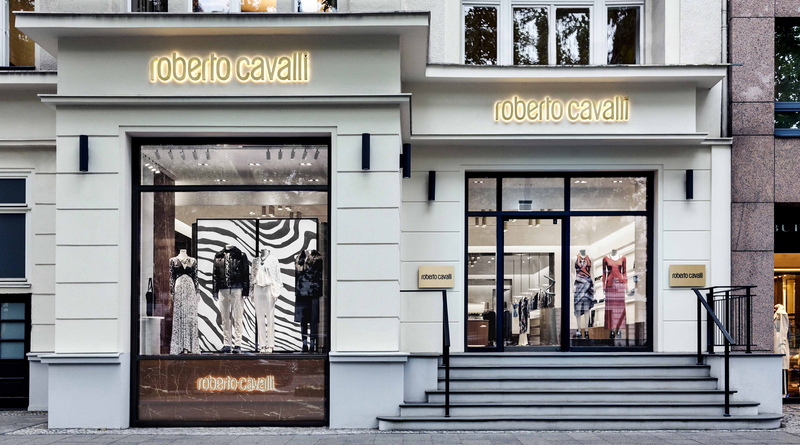 Since 2017 when Paul Surridge took creative control of the brand, Roberto Cavalli has seen radical changes in design direction. Inspired by the company's Tuscan heritage and by the renaissance architecture of the region, the new design language seeks to encapsulate the rich tones, elegant grandeur and classicism of Tuscany. 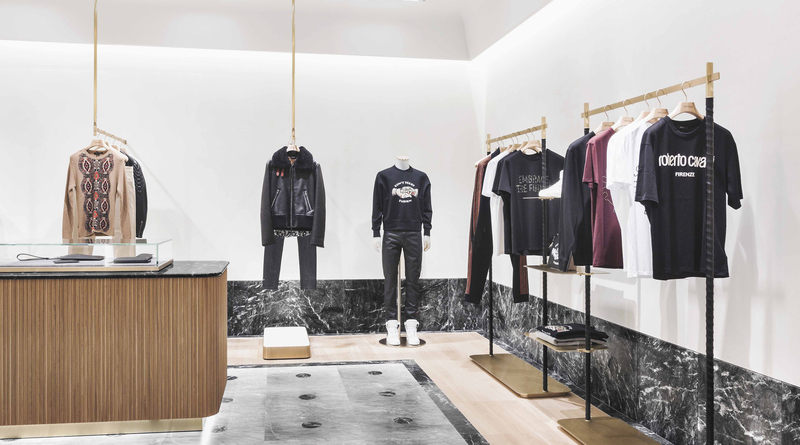 The flagship Berlin store is the first location for these design changes to be epitomised with a new store concept. Developed with Milan based Rodrigo Izquierdo Design Studio, the new concept encapsulates the departure from the former maximalism and excess synonymous with the Cavalli brand of before; creating a sophisticated, rich and timeless interior. Light IQ were tasked with creating a lighting scheme which enhanced and supplemented the new brand image; to develop a scheme which used light and luminaires to create richness and glamour but with a quietness. Working with Rodrigo Izquierdo Design Studio and custom lighting manufacturers, Light IQ developed a range of solutions to produce both visible and invisible luminaires. Decorative brass tubular downlights were custom made, to create a strong visual statement within the space. The dimensions of these fittings was carefully considered to provide the optimum balance of visual presence whilst allowing the architecture and product displays to remain dominant. 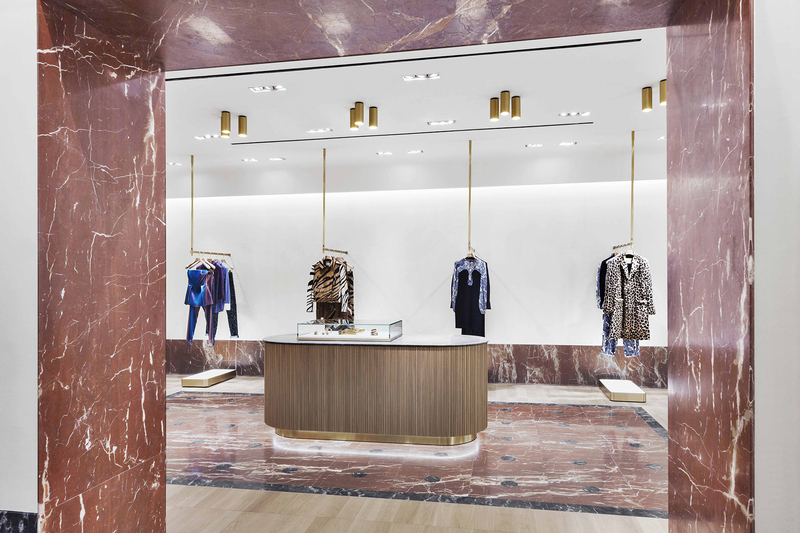 In between these visible elements, recessed downlights with high colour rendering LED light engines provide accent light lighting to clothing rails and displays. As a high end retail environment, a significant number of accent lights were needed to provide excellent light uniformity and high lux levels on product displays. However, through the use of visually unobtrusive recessed fittings the visual impact of these is minimised. Instead the eye is drawn to the many vertical lit surfaces within the space. A specially designed perimeter ceiling detail was developed to conceal a wall wash detail, which softly lights key walls within the space. This soft even light provides a bright and fresh backdrop for the clothing to be displayed on, and serves to highlight the new bright, fresh Tuscan inspired colour and materials palette. Brass and Italian marble surfaces are brought to life with integrated lighting within cabinetry. Subtle details such as multiple lines of LED within slim profile shelves and backlit panels behind silk scarf displays allow products to be evenly and discreetly lit. Delivered to a strict budget and an even stricter construction program, the lighting scheme provides maximum impact with minimal aesthetic intrusion. 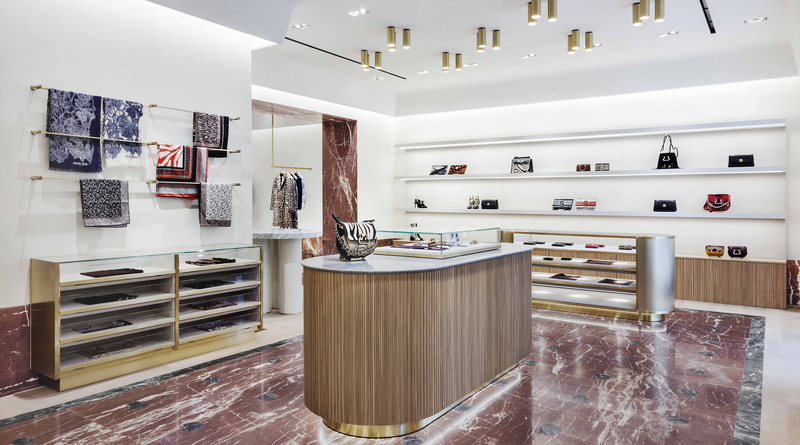 Completed in the summer 2018, the concept is now due for roll out to other store, the second of which will be the Milan store, which will open this autumn.